Sunroof, Heated Leather Seats, Back-Up Camera, Alloy Wheels, Satellite Radio, Premium Sound System, Turbo. EX-L 1.5T trim. Leather Seats, Sunroof, Heated Driver Seat, Back-Up Camera, Turbocharged, Premium Sound System, Satellite Radio Honda EX-L 1.5T with Modern Steel Metallic exterior and Gray interior features a 4 Cylinder Engine with 192 HP at 5500 RPM*. "The Accord has a lot of strengths on the road. The drivetrain responds quickly and provides sufficient power. The car corners well, sticking to the road with no drama, and the brakes feel natural and strong." -Edmunds.com. We are ready to give you the VIP treatment with our Roy Schmidt VIP Experience. We take care of our customers and always want to put you, the customer, first! For more information, give us a call TODAY at (866)422-9583. And remember, ALL of our customers will leave with one of two things: A new vehicle or a solution to how we can help get you into a vehicle that works best for you! 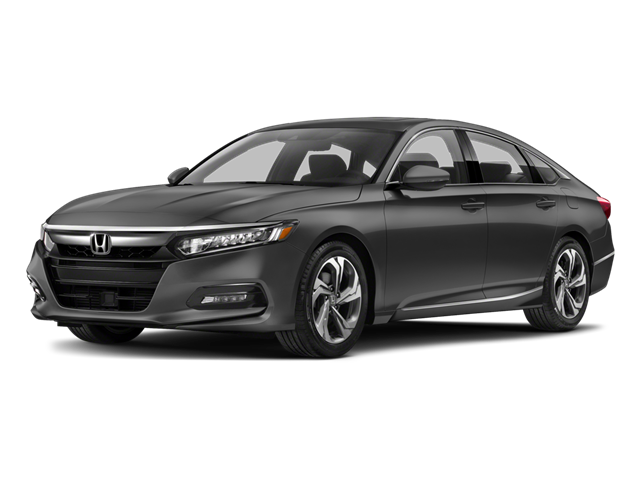 Hello, I would like more information about the 2018 Honda Accord Sedan, stock# HC8289. Hello, I would like to see more pictures of the 2018 Honda Accord Sedan, stock# HC8289.